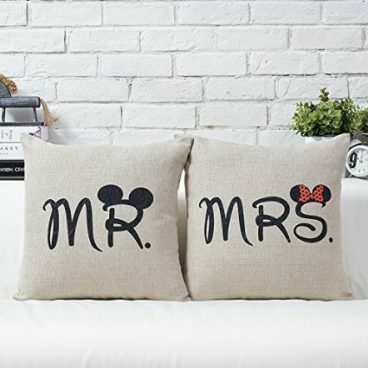 Mr & Mrs Cushion Cover Set Just $4.80 Plus FREE Shipping! You are here: Home / Great Deals / Amazon Deals / Mr & Mrs Cushion Cover Set Just $4.80 Plus FREE Shipping! Terrific for a Bridal Shower present! Order the Mr & Mrs Cushion Cover Set Just $4.80 Plus FREE Shipping! The pattern is only available on the front side. This cushion cover has an invisible zipper and all seams have been overlocked. It’s easy to dismantle and wash.